NASHIK MAHARASHTRA: At least four people, including two television cameramen, were injured when a leopard strayed into a residential area here and caused havoc on Friday, officials said. The leopard was hiding in a sugarcane field behind a fuel station on Gangapur Road at dawn. Before anyone could realise what was happening, it barged into the thickly populated Savarkar Nagar residential locality. As some youths attempted to chase the animal away, it turned around and pounced on them before jumping onto the fences, walls, roofs, terraces and then entered a residential complex only to re-emerge and resume its rampage. 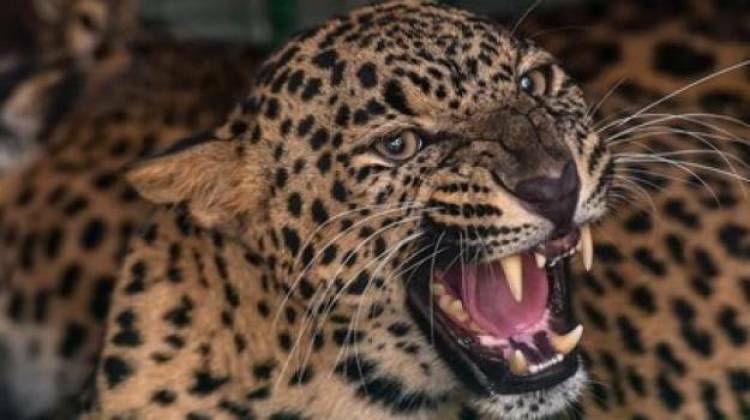 Panicked locals summoned the police and forest department officials who arrived with nets, tranquilizers, cage and other protective gear to catch the leopard. After a three-hour operation, the leopard was trapped inside a house. Among the injured was a Shiv Sena municipal corporator, Santosh Gaekwad. Since the leopard also suffered injuries, it was shifted to a shelter for treatment and will be released back in the wild later.